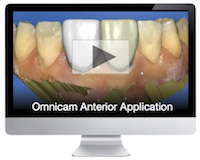 The steps for CEREC 4.0 virtual design is the same for the Omnicam virtual model as the CEREC AC Bluecam model. However, the colored virtual die doe add more flavor to the process. View Video Posted in CEREC Liftoff Chapter 9.